Dr. Haewon McJeon, research economist at Pacific Northwest National Laboratory, was quoted in the New York Times regarding expanded use of natural gas as a cleaner alternative to high-emission fuels. McJeon and his colleagues recently published a paper in the journal Nature, "Limited Impact on Decadal-Scale Climate Change from Increased Use of Natural Gas." 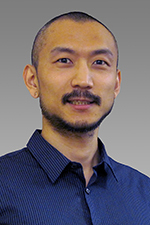 McJeon, a researcher at PNNL's Joint Global Change Research Institute (JGCRI), a collaboration with the University of Maryland, stated that "In the absence of a climate-change-mitigation policy, having abundant, lower-cost natural gas alone is not going to significantly reduce greenhouse gas emissions." McJeon's colleagues at JGCRI, Drs. Jae Edmonds and Leon Clarke, were co-authors on the Nature publication along with several international collaborators. Read the complete New York Times article. For more, see "Haewon McJeon Quoted in Scientific American, The Guardian, The Times of London on Nature Publication"